News18 and mid-day report that Mr Bahl has already been dropped from Super 30 promos and also from an Amazon Prime show he was meant to direct. This is, perhaps, the retribution his Phantom co-owner Anurag Kashyap meant when he told Huffington Post over the weekend that he had ‘named and shamed’ Vikas Bahl privately in film circles and that “people have already started distancing themselves from him he’s done.” Both Mr Kashyap and Phantom co-owner Vikramditya Motwane have tweeted to say they believe Mr Bahl to be guilty of the alleged misconduct. Both have also admitted to lapses in their legal and company procedure because of which it took them this long to make Mr Bahl accountable and promised to never let alleged harassment and assault go unpunished on their watch again. Vikas Bahl has been accused of sexually assaulting a woman in 2015. This was reported in the media last year and the survivor has told her harrowing story in detail to Huffington Post which also spoke to Mr Kashyap. Vikas Bahl has also been accused of inappropriate behaviour by two actresses, one of whom is Kangana Ranaut – with whom Hrithik Roshan has his own personal and embattled history. 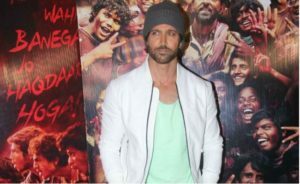 The former co-stars have feuded publicly over a disputed romantic relationship and last year, Mr Roshan said in a statement that he had been ‘harassed for four years.’ This might explain why he has been careful to stress the ‘he/she’ in his statement on Vikas Bahl today. Hrithik Roshan’s post is literally the first instance of affirmative action that Bollywood has taken ever since the #MeToo movement exploded two weeks ago. Tanushree Dutta’s allegations of sexual harassment by Nana Patekar on a film set 10 years ago has been met with denial and a legal notice on Mr Patekar’s part and poor responses from actors such as Amitabh Bachchan and Salman Khan when asked to comment. Mr Patekar, in fact, continues to shoot his film Housefull 4 with Akshay Kumar, whose wife Twinkle Khanna has been one of those celebrities supporting Ms Dutta. It seems unlikely that he will be dropped from the film. Tanushree Dutta has filed a police complaint against Nana Patekar and choreographer Ganesh Acharya.